July 4th Barbecue & Fireworks Vacation Package – Macy’s has officially announced their famous July 4th Fireworks will be on the west side, over the Hudson River, again in 2012. This great vacation package immerses you in the heart of Manhattan, a prime view of the Fireworks from a dinner cruise (best view in the city is from the water), an afternoon BBQ in Times Square and tons of freebies! NYC Limos, Taxis, Shuttles and Car Services – NYC Limos can be a great choice for airport transportation, and they are not as expensive as you may think. Upon arriving in New York City, you can use town cars, public transit, taxi or airport shuttle to get to Manhattan. There is no one best choice for everyone, as it depends on your budget, luggage amount, timing, number of people in your party and the time of day. Check my insider tips, and make sure to avoid hidden fees! Metropolitan Museum of Art NYC – Did you know The Met is NYC’s #1 attraction? With over 2 million works spanning 5,000 years and 5 million visitors annually, the Met impresses even those who think Art or Museums are not their thing. You can spend days here and still not experience a small portion of their art collections, famous exhibits, special events, multiple restaurants, rooftop garden, live music, museum tours and much more! WINNERS in action. Check out the New Giants MetLife Stadium, home of the 2014 Superbowl, and take the super-easy train to the game! See our star quarterback, Eli Manning, wide receiver, Hakeem Nicks along with our salsa-dancing Victor Cruz. Tickets start at just $40 per game! Added Kosher Restaurants and Farmers Markets pages. Please do tell, what did you think of the NYC Insider Print Guide? Did you purchase the NYC Insider Print Guide with over 50 JAM-PACKED pages of neighborhood maps and the BEST things to do in NYC, as voted by all native New Yorkers, ready to print and go? What did you think????? 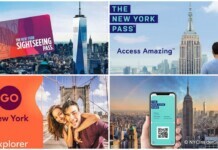 Did you use the New York Pass, New York City Explorer Pass or New York CityPASS? How about paying it forward and letting other NYC visitors know which one you liked (or not) and why? Did they save you time and/or money? Do you have any tips for using the discount passes? NYC Designer Sample Sales May – Scheduled May 2012 Sample sales include Theory, Botkier, Rebecca Minkoff, Furla. Other May NYC Sample Sales that may be held again include: Catherine Malandrino, Hickey Freeman, Bobby Jones, Twinkle by Wenlan, L’Oreal, Max Mara and Manolo Blahnik. 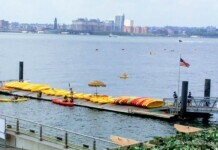 Lots of other New York City May 2012 Events include Grand Prix Sailing, Jazz, Craft Fair, Art Exhibition and more. If we look back at prior New York City Events May 2011, we can expect to also see updates on the Good Morning America Summer Concert Series, Annual Intrepid Museum Summer Movie Series and more. 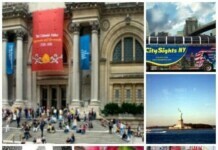 So check out both New York City Events May 2012 and New York City Events May 2011 today! The 2012 Thanksgiving Parade route starts on Central Park West and 77th Street, marches South on Central Park West to Columbus Circle, turns east on Central Park South and South on 6th Avenue to Macy’s at 34th Street at Herald Square. New Thanksgiving Parade Route Vacation Packages coming soon!!!! CityPASS prices raised to $89 Adult. $64 Kids 6-17. New York Pass prices raised to Adult $80 (1 Day), $130 (2 Day), $165 (3 Day), $210 (7 Day). Kids prices raised at similar rates. Changes made to AMNH costs on Discount Passes. Mars 2112 (Kid’s Restaurant) CLOSED. Replaced with Ninja New York. New York Giants Tickets and New York Jets Tickets 2012-2013 Season! New York City Events June 2012 include the Museum Mile Festival, Shakespeare in the Park, NYC Pride Week, Puerto Rican Day Parade, Central Park SummerStage, Children’s Day at the South Street Seaport, New York Yankees and Mets, Taste of Times Square, Midsummer Night Swing, Cocktails at the Met, and so much more. If we look back at prior New York City Events June 2011, we can expect to also see updates on The Scene at Tavern on the Green, NYC Cocktail Week and Free comedy shows in NYC parks, so check out both New York City Events June 2012 and New York City Events June 2011 today! Everyone is ALWAYS asking me how I built this site and how it generates income? How can I work from my sofa or anywhere in the world? The answers are always on my Do You LOVE New York City Yet? page. If you’ve ever thought about making money online, this is a great way to do it! If you like this Newsletter, please let others know (Thank You!)! If Manhattan Monthly was forwarded to you, please subscribe by visiting NYC Insider Guide and get a FREE NYC Insider Printable Guide just for signing up. 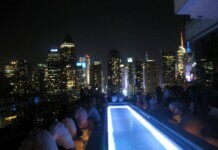 (c) 2009 -2012, NYCInsiderGuide.com. All rights reserved. Reproduction of any material from this newsletter without written permission is prohibited. You are subscribed to the NYCInsiderGuide Newsletter. Choose the best New York City Vacation Packages, Broadway, Thanksgiving Parade, Christmas, Yankees, US Open, Valentines, July 4th, all offering you AFFORDABLE customized tour packages to suit your vacation time, budget and interests.